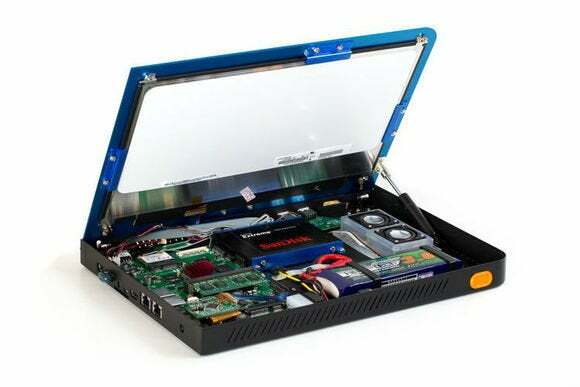 A new computer made almost entirely from open-source hardware is now available for pre-order. But unlike open-source software, it's anything but free. The project is called Novena, and as Wired reports, nearly all of its components are open-source. That means anyone can dive deep into the schematics and scrutinize the designs for bugs, defects and government-imposed security backdoors. It also allows users to drop in their own components and reprogram the machine as they see fit. Novena is taking pre-orders through Crowd Supply, a crowdfunding site similar to Kickstarter. For $500, all you get is a motherboard with some basic computing parts, including a Cortex A9 processor (one of the elements that isn't open source), 4GB of RAM, a 4GB microSD card with Debian on-board, a Wi-Fi card, HDMI output, an ethernet jack, two USB ports, a headphone and microphone port and a power supply. If you want more than just the board, the price skyrockets. An “All-in-One Desktop” build costs $1,195 and adds an aluminum enclosure with room for expansion, along with a 13-inch 1080p display. The “laptop” model costs $1,995 and adds a battery controller board, a 3000 mAh battery pack and a 240GB solid state drive. You'd still have to supply your own mouse and keyboard. Those who want to go all-in can spend $5000 for the “Heirloom” model, which integrates a Lenovo Bluetooth trackpoint keyboard and comes in a wooden enclosure built by a designer in Portland, Orego. And if you thought those prices were high, the creators tell Wired that the price will go up after the crowdfunding campaign ends. Of course, this is a niche product, one that's impractical to the average user for many reasons. In fact, Novena's crowdfunding campaign warns that the device isn't made for consumer home use, and says to think of it “more as a piece of lab equipment.” It's largely aimed at enthusiasts who want to deepen their knowledge of hardware with the help of open documentation. At the time of this writing, Novena is roughly a third of the way toward its $250,000 funding goal.